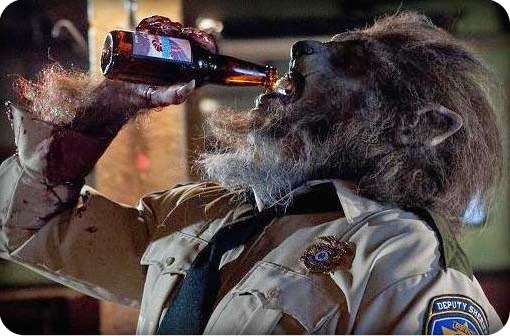 Small town cop Lou Garou hasn't taken his job seriously in years. He drinks too much and when bad things happen he looks the other way. One night, acting out of character, Lou follows up on a disturbance call in a remote area, but shortly after he arrives on the scene, he blacks out. When he wakes up, he can’t remember anything, his senses are heightened, he has odd markings on his body and his hair is growing at a rapid rate. That night, Lou’s transformation from man into rage-fuelled werewolf takes shape. During the day, Lou struggles to remain in control, both of his drinking, his newfound powers and the dangerous situations all around him. In an attempt to uncover the truth, he enlists the help of the town's local eccentric Willie, who seems to know a lot about the werewolf's curse. Together the two work to try and uncover the mystery of who did this to Lou and for what dark reasons. The only question is will Lou be able to make things right before his inner monster takes control again? From Crystalsky Multimedia, “Wolfcop” is now showing in the following cinemas: SM North Edsa, SM Fairview, SM Marikina, SM Megamall, SM Manila, SM Sta. Mesa, SM Clark, SM Bacoor, SM Cebu, SM Iloilo, Remar Cubao, Cinerama Recto, Gateway Cineplex, Promenade, Sta. Lucia, Gaisano Davao, Gaisano Toril and Fisher Mall.